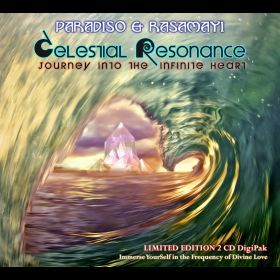 Paradiso and Rasamayi are twin flames and Ambassadors of the Sacred Sound Current, dedicated to serving the healing and evolution of humanity with the beautiful, powerful and utterly unique instruments and “evolutionary music” which flows through them. 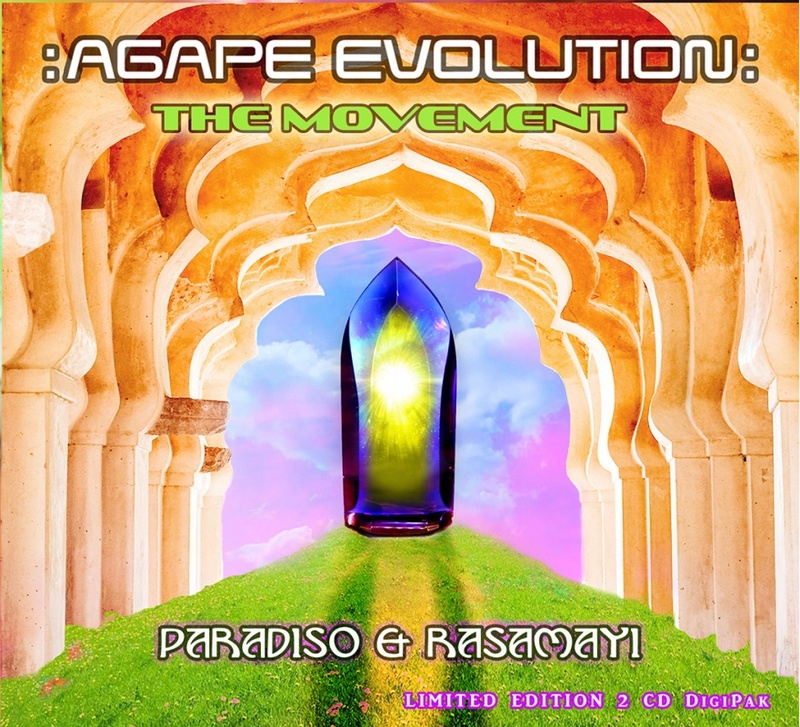 New Album Release "Agape Evolution: The Movement"
Get Ready for "Agape Evolution: The Movement" - November 30 is the big day! Our Kickstarter project is live NOW for those who are moved to support our production costs and want be among the FIRST to receive these AUMazing frequencies. We are so excited to introduce our new baby to you :) - it's a two CD set called "Agape Evolution: The Movement." 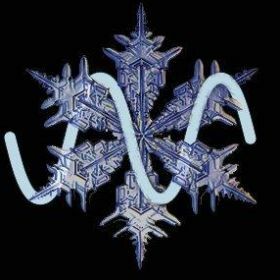 It tells the story and transmits the frequencies of Divine Love staring unflinchingly at the shadow, integrating the soul lesson there then transmuting it into a higher expression of our embodied divinity. This album is mesmerizing, energizing and healing. 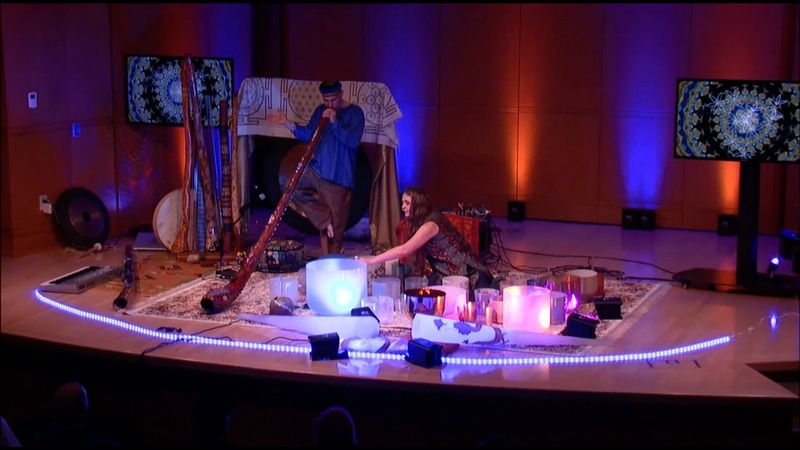 It includes a duet with the two largest crystal didgeridoos in the world, "Sage" and Ajni," who transmit the frequencies of divine wisdom and fire purification. 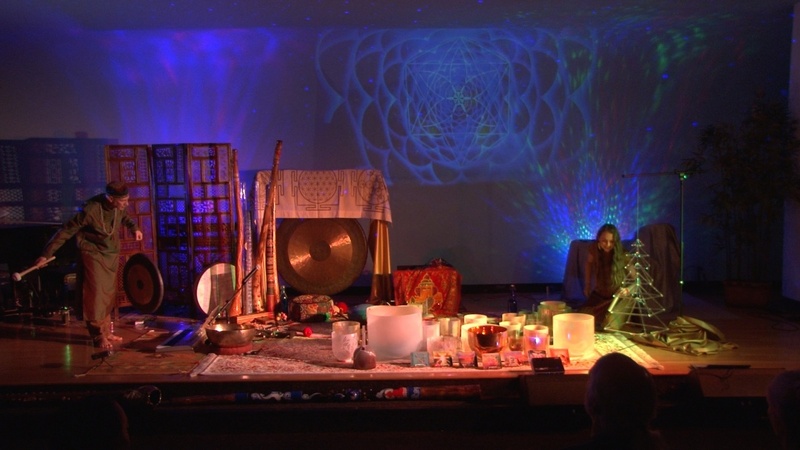 This powerful double didj experience is many souls' favorite experience in our live performances, and this is the first time these transcendent frequencies have been captured in recording. 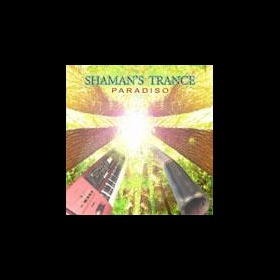 The song is "Clearing Vortex," and it is the first song on Disc 1! 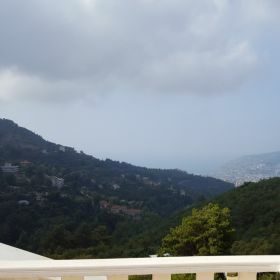 We are so grateful that (because of YOUR generous support!) 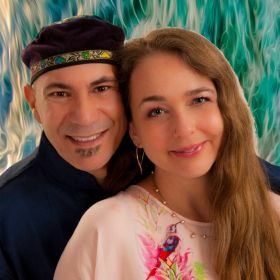 our previous three albums have been funded on Kickstarter, and so blessed that they went on to win four best album awards - Best Frequency and Transformation, Best Meditation and Relaxation, and two Best New Age Album of the Year awards. We are certain though that "Agape Evolution: The Movement" is our most moving, beautiful and powerful album yet. 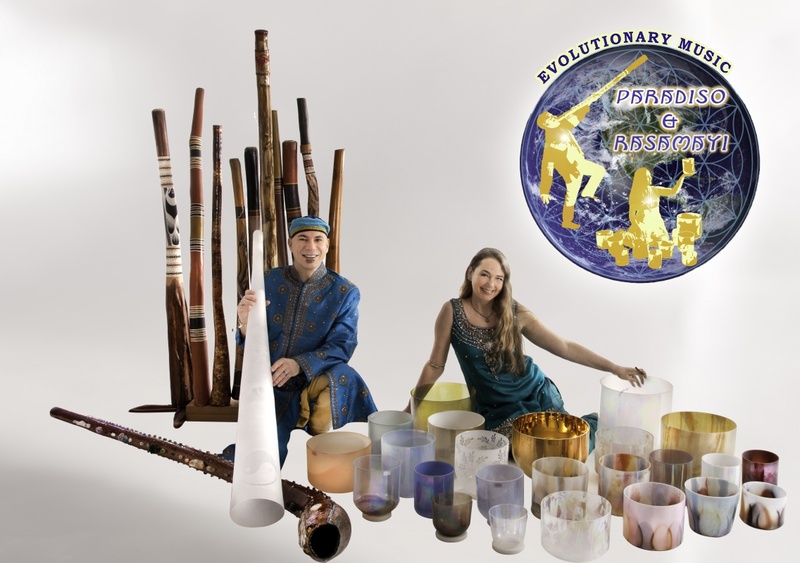 The campaign supports printing of 500 CDs and helps us with the many investments we make to make Evolutionary Music available to the world. 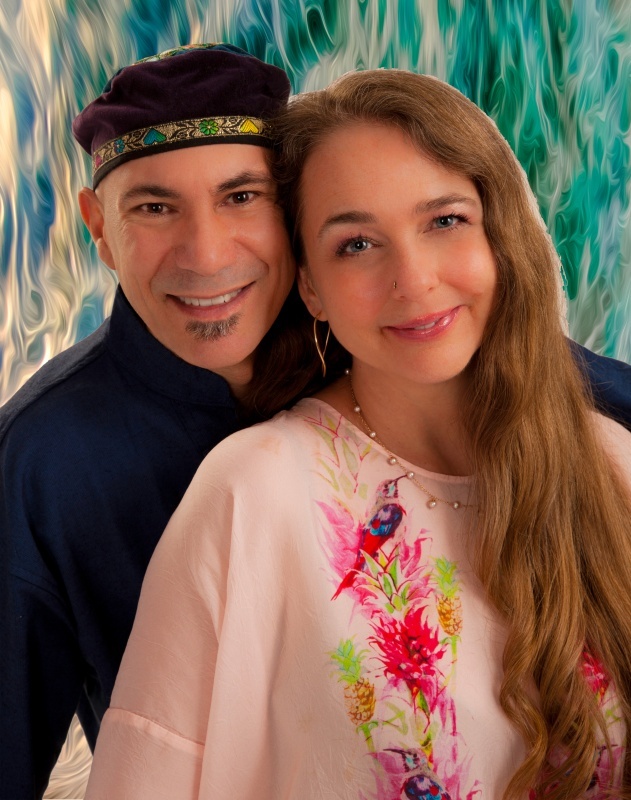 Support the Kickstarter and receive an advance copy of the album with our signature - our first 50 pledges will also receive our gift of a chakra pendant. We are looking forward to seeing and serving beloveds in Florida, Louisiana, Missouri, Texas and Oklahoma in November (see schedule below). We are grateful Pensacola, Florida was spared by Hurricane Michael, and continuing to send love and prayers to our affected friends in Tallahassee and beyond. We can't wait to serve the Mahabhuta Yoga Festival on the beach in Pensacola November 9-11 with our sound session on 11/11! Give the gift (to yourself or another beloved!) 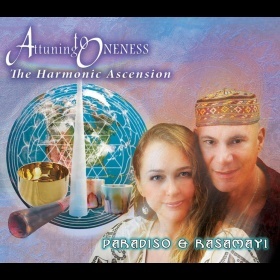 that provides inner peace - an Alchemy crystal singing bowl! We are fostering over 70 beautiful, powerful bowls until they find their forever homes and places of service. 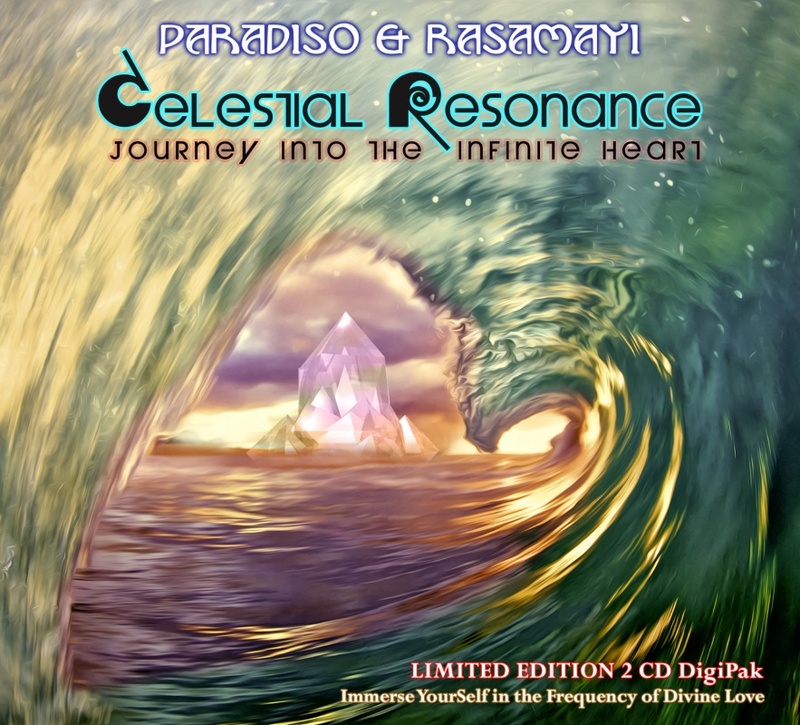 Rasamayi will help you find the perfect frequency prescription to cleanse, expand and uplift your energy. Bowls can be shipped, adopted from our in-home studio or concerts. We will be at home in Kansas City during December and happy to help you find your Bowlmate. Our concert schedule for 2019 is taking shape! Would you like us to visit your church or center? Contact booking@link and we will do everything we can to serve your cOMmunity. Until next time, know that we love you. We bless you. We see you as divine perfection.